From some time ago this one is a pretty basic work look for me. Also the last pictures I had stored on another hard drive before my iMac fell apart a few days ago so from now on only fresh pictures probably taken the day they are posted. 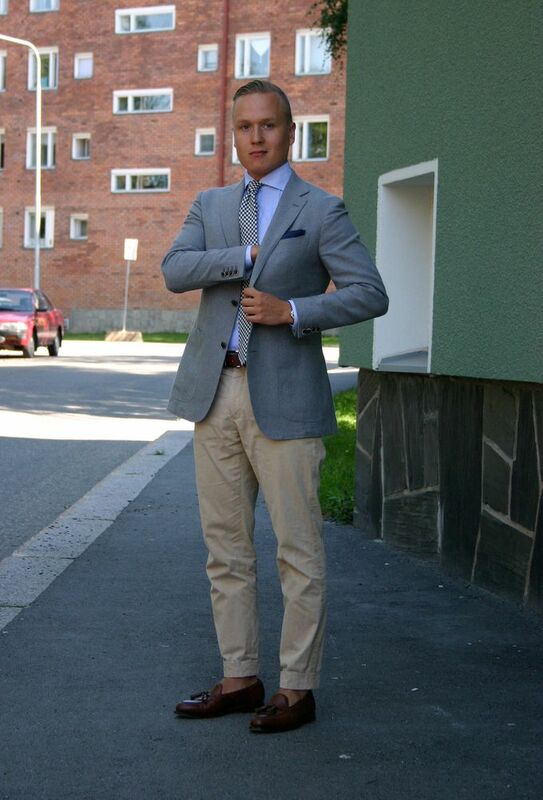 The jacket is from SuitSupply, shirt from SuitSupply, tie from Berg & Berg, belt from Equus Leather, trousers from SuitSupply and tassel loafers from Septième Largeur. This Berg & Berg brushed cotton tie is one of my favorites for summer. Despite being a bit on the thick side it ties a pretty beautiful knot for a pure cotton tie. 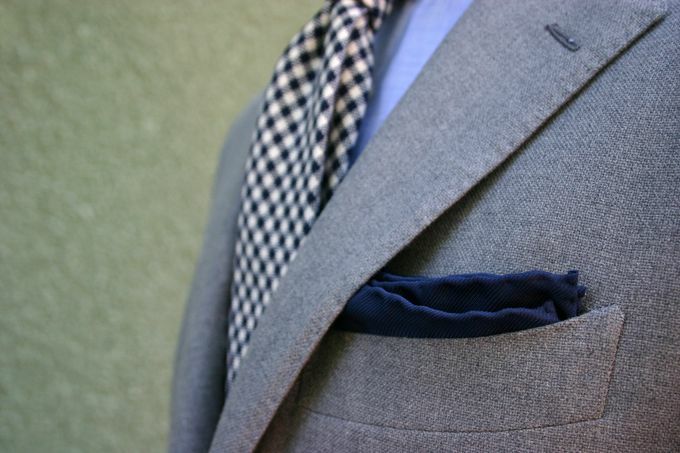 Decided to go for a plain navy pocket square as the gingham check in the tie is quite dominating. 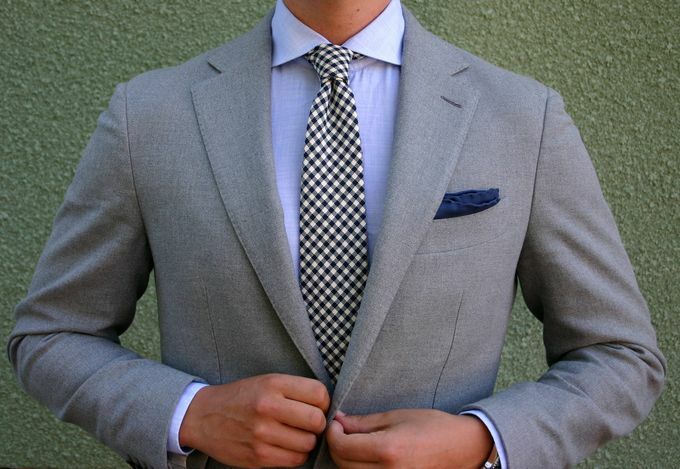 This is actually a navy and white polka dot square, but can easily function as just a navy silk square. I'm also fond of the rather matte finish of this silk.